Porthmadog Golf Club has everything required for a great day out whether with family and friends or on a society golf day. 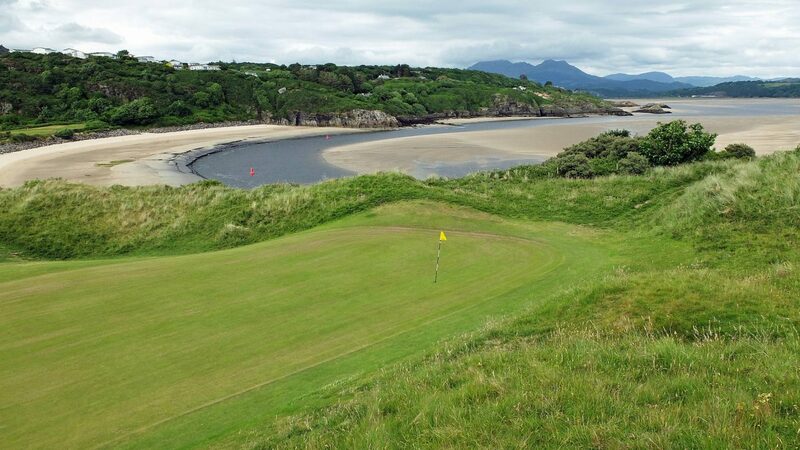 The course is situated in Morfa Bychan, 3 miles away from the harbour town of Porthmadog and was established in 1905 by James Braid, the genius course designer of his day. It is a traditional links course, friendly, challenging and not to be missed. The front nine is predominantly heathland and the back nine links, with stunning views of the Cardigan Bay coastline and Snowdonia mountain range. In 2005 we celebrated 100 years of links golfing excellence. We have buggies, electric trolleys and pull trolleys available to hire from our Professional Gary Kilmister. We have 2 practice grounds, a practice net and a putting green on site to help you prepare for your round. After your game you are welcome to enjoy all areas of the clubhouse. The area also offers other activities away from golf. Visit the famous Portmeirion Italian Village or ride the Ffestiniog and Highland Railway steam trains. Societies are very welcome here at Porthmadog Golf Club. Competitively priced packages are available or we can arrange bespoke arrangements tailored to suit your requirements. Discounts are available for groups of 12 or more. The car park can also accommodate large buses. Society organisers should contact our club manager for further details. Send a message via our contact page or phone on 01766 512037. Visit http://www.porthmadog-golf-club.co.uk/contact.aspx then enter your postcode for directions. (April 1st, 2018 – October 31st , 2018). (November 1st, 2017 – March 24th, 2018). Large modern friendly club house offering a warm welcome, "croeso cynnes", to golfers and non-golfers alike.